Nano-fibrous scaffolding mimics aspects of the extracellular matrix to improve cell function and tissue formation. Although several methods exist to fabricate nano-fibrous scaffolds, the combination of phase separation with reverse solid freeform fabrication (SFF) allows for scaffolds with features at three different orders of magnitude to be formed, which is not easily achieved with other nano-fiber fabrication methods. This technique allows for the external shape and internal pore structure to be precisely controlled in an easily repeatable manner, while the nano-fibrous wall architecture facilitates cellular attachment, proliferation, and differentiation of the cells. 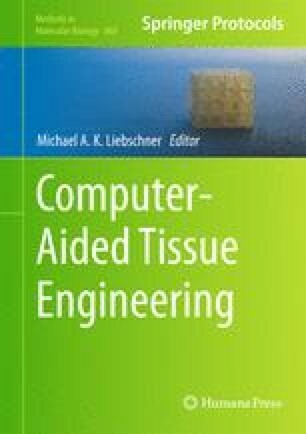 In this chapter, we examine the fabrication of computer-designed nano-fibrous scaffolds utilizing thermally induced phase separation and reverse SFF, and the benefits of such scaffolds over more traditional tissue engineering scaffolds on cellular function and tissue regeneration.